Concept artist Yohann Schepacz has a great knack for depicting spacecraft and other advanced technology in the middle of desolate or untouched alien landscapes. He works at Eidos Montreal but also has his own design studio, OXAN. 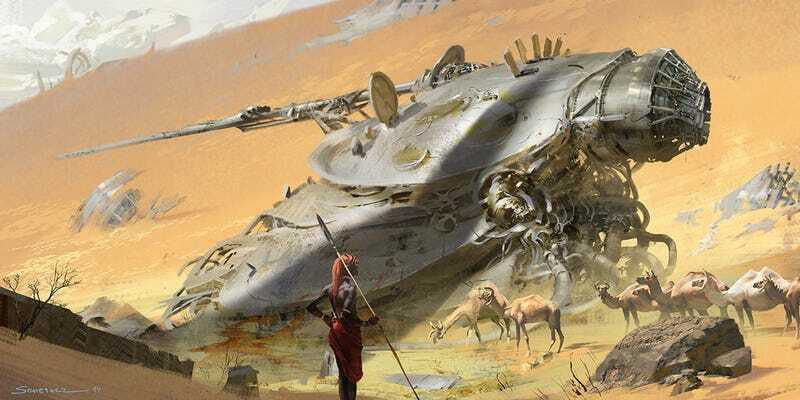 Check out some more of his astonishing concept art below. This artwork comes via Concept Art World — check out more over there, and even more at Yohann Schepacz's Tumblr.